We’ve seen people get pretty intricate with their Easter egg dyeing (like this guy, and this one, and also this) but we’ve never seen an Easter egg quite as impressive as the one Tsar Alexander III presented to his wife, Tsarina Maria Feodorovna in 1892. Called the Imperial Diamond Trellis Egg and created by renowned Fabergé workmaster August Holmström, the egg is on display exclusively at the Houston Museum of Natural Science beginning on April 6 — Good Friday. 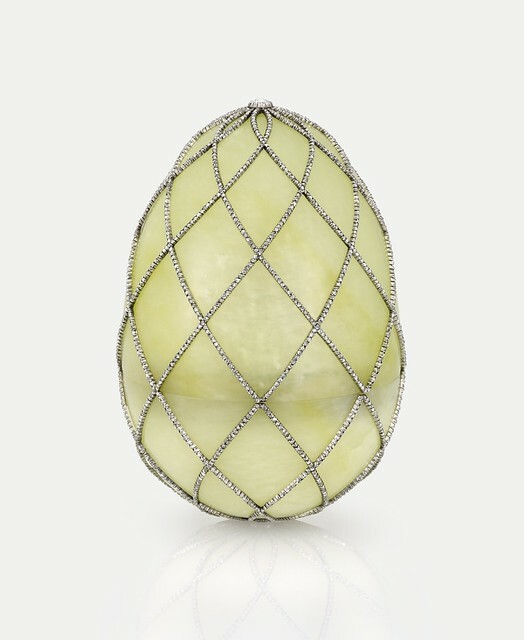 Made from Jadeite, gold, rose-cut diamonds and silver, the egg is delicately hinged and originally opened to reveal an Easter surprise — a miniature elephant, which has since been lost, made from ivory, gold, enamel, and rose-cut and brilliant diamonds. The Imperial Easter Egg has been displayed as if it is floating off-kilter in the Cullen Hall of Gems and Minerals Vault, but was originally propped on top of three cherubs thought to represent the three sons of the Imperial couple — the Grand Dukes Nicholas, George and Michael. The egg is on loan from the McFerrin Collection and will be on display for one week only, so plan your visit soon! We finally had someone who was able to actually show us where to go to see the wonderful fabrege egg….we asked so many volunteers but no one knew where it was. We went to see if the day after it arrived. A seasoned worker who used to do tours at the museum was gracious to show us where to find it…what a hunt it was and well worth it! 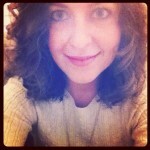 Next Post Party like it's 1912 at Titanic VIP nite — this Thursday!